Getting seats to the best Broadway shows usually requires a lot of planning in advance. But if you need to find last-minute Broadway tickets—for shows the same day, or just a few days away—you do have some good options. It all depends on how much you are willing to pay, how much you are willing to wait and how much risk you are willing to take. If everything goes your way, you might even luck into cheap Broadway tickets, great seats or a chance to see hit shows that you would never have been able to get into earlier (hello, Hamilton!). 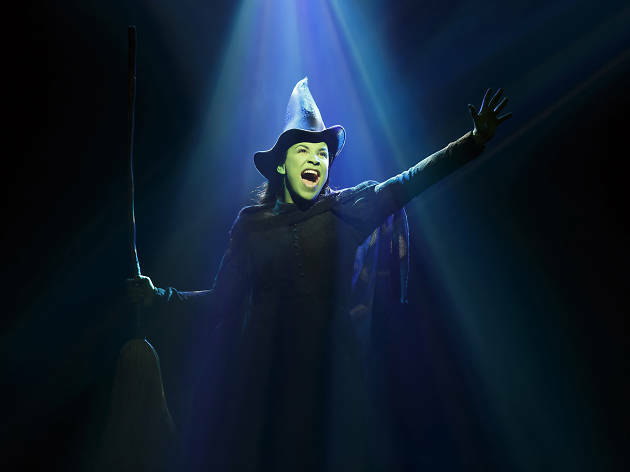 Here is our procrastinator's guide to buying last-minute Broadway tickets. The big red steps in Duffy Square, on Broadway at 47th Street, mark the flagship location of TDF’s TKTS Booth, the standard destination for discounted same-day tickets to Broadway shows. All but the biggest Broadway smashes are on sale there, many at 50 percent off; if you are not looking to see a musical, there is a "Play Only" window that will cut down your wait time. To see what is available on a given day, download the TKTS app or visit its website. If you don’t want to deal with the crush of Times Square, consider visiting one of TDF's offshoot TKTS booths elsewhere in the city. The one at Lincoln Center’s David Rubenstein Atrium (Broadway at 62nd Street) is indoors, so it saves you from dealing with rain, cold or heat. The other is at South Street Seaport (corner of Front and John Streets). Both non–Times Square locations sell matinee tickets a day early. If you don’t feel like standing in line at TKTS, or you want to make sure you can get seats to a specific show you have an eye on, there are other ways of finding last-minute Broadway tickets for less than full price. The handy TodayTix app helps you find discounted tickets through your mobile phone on the same day as the performance (or up to week in advance). You may also be able to take advantage of discount codes offered by individual shows. 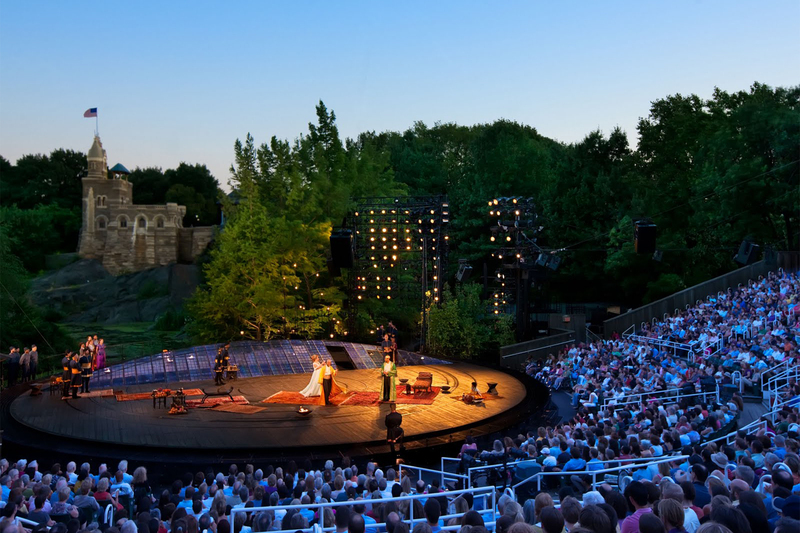 One reliable online source for cheap tickets is nytix.com and good discount codes can be also be found at BroadwayBox. Many shows offer special same-day rush tickets, which in some cases is the only way to get tickets at a reasonable price for shows that are otherwise sold out. Rush tickets to Broadway and Off Broadway shows can sell for as little as $20 apiece. Go to the theater's box office as soon as it opens on the day of the performance; that means 10am on most days and 11am or noon on Sundays. If you don’t mind being on your feet, you can also try for standing-room tickets. To find out which shows offer rush tickets and lotteries (see below), consult the guide at Playbill. 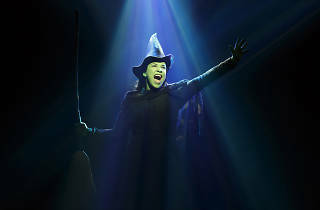 A small number of productions, notably Wicked, offer cheap day-of tickets through an in-person lottery, with names drawn at the box office a few hours before curtain time. But most Broadway shows now conduct these lotteries digitally, either on their own or through the TodayTix app. The Hamilton lottery offers 46 seats every day for just $10 apiece; the Harry Potter and the Cursed Child lottery draw is held once a week on Fridays. While this seems like an obvious thing to point out, not everyone thinks about the seats at performances that go unclaimed. It's worth lining up at the theater on the day to buy cancelled seats right before curtain-up. Of course, there's no guarantee, but it's worth a punt if you've got the time (and perseverence) for it. Get to the theater a couple of hours early and keep those fingers crossed, as cancellation lines are first come, first served. Sometimes you'll see touts lurking around outside and while they could potentially hold your ticket in, be wary of fakes and remember there won't be any opportunity to get your money back. For better or worse, the practice of buying tickets and reselling them for profit—once known as scalping, now more politely euphemized as the secondary market—has gone legit in the past ten years. Sometimes these sellers are the only ones with tickets to the most popular productions, because they buy seats early in bulk. So if you simply must see a certain show and money is no object, see what you can find at Broadway.com, StubHub, VividSeats or even Ticketmaster itself, which has areas devoted to resale. Depending on the show and the seller, the markup can be very high indeed. But if you check the sites very close to curtain time, the prices sometimes fall dramatically, as vendors try to avoid taking a total loss on tickets they haven’t sold yet. 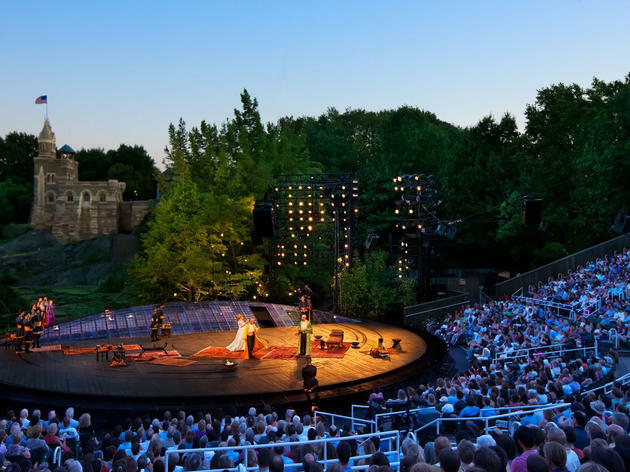 Interested in Shakespeare in the Park?